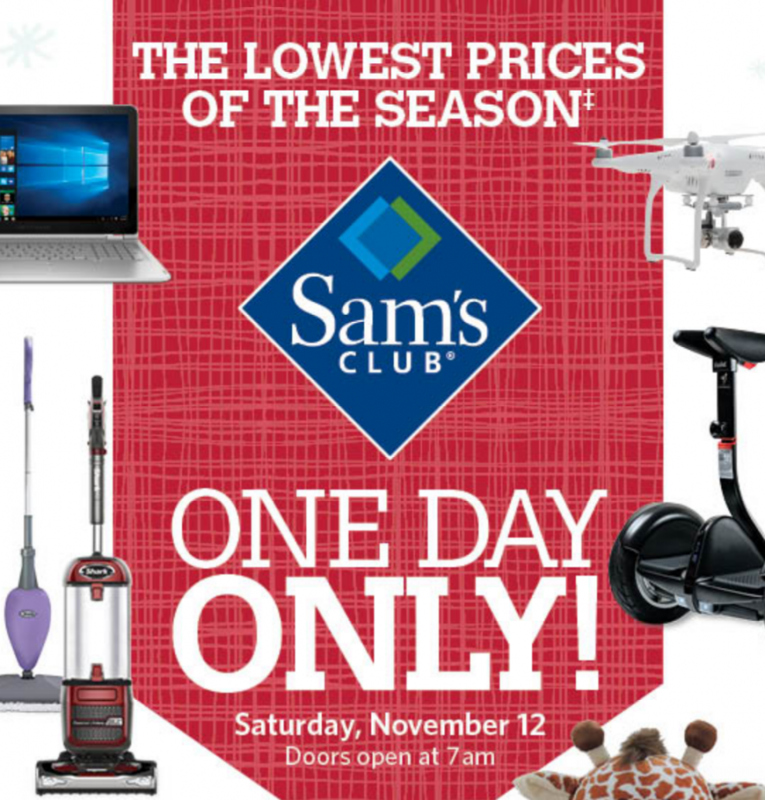 Home > Black Friday > Sam’s Club Pre-Black Friday Event Tomorrow! Sam’s Club Pre-Black Friday Event Tomorrow! Sam’s Club is running their Pre-Black Friday Event tomorrow, Saturday November 12th. I had friends that camped out last year for the great phone deals, this year my husband wants to join them for a new TV. The sales are only good tomorrow, Saturday November 12th while supplies last. The store will open at 7 am, if you want any of the crazy good deals I would recommend getting there early. They said folks were starting to line up around 4 am last year. You can get most items online!! Starting at 12:01 am eastern time on the 12th, grab most items without having to wait in line. They are also offering free shipping. Here’s the official ad scan sneak peek.